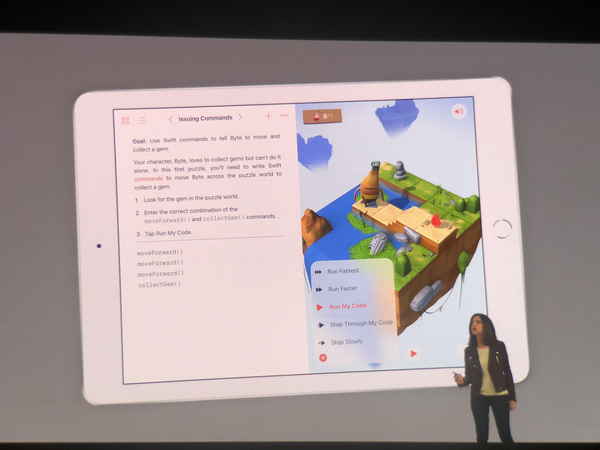 Talking about how kids love Swift Playgrounds. Especially being able to program drones and robots. Another teacher, Kasia Derza from here in Chicago is up to talk about her classroom. 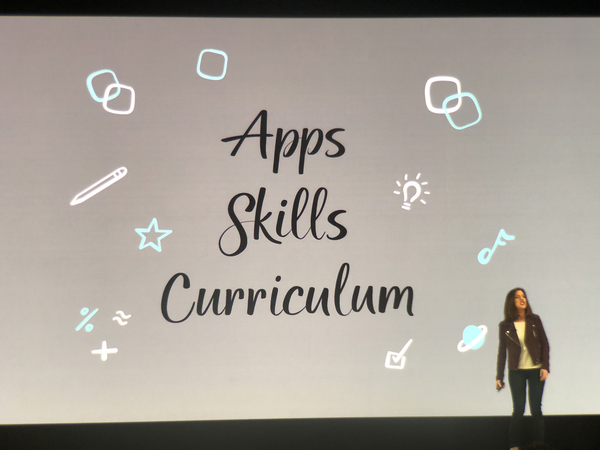 She started with block-based coding apps, but recently introduced Switft Playgrounds and her kids loves it. She is sharing a touching story regarding an English as a second language student who was very shy. Swift Playgrounds helped her gain condience and is now on student council. 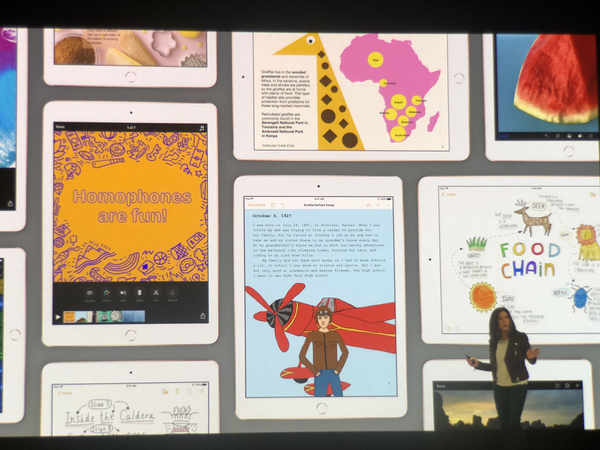 Teachers will have free resources. Focused in video, music, photography, and drawing. Photography: Composition can teach mathematics in nature. Drawing can add more detail to a report. Music and audio can enhance reports and presentations. Video can be used for reports and presentations. Like Everyone Can Code, has teacher guides to help bring into the classroom. 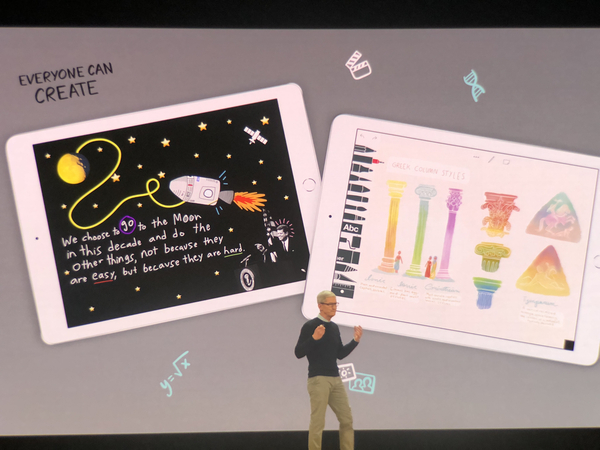 Everyone Can Create is previewed today, with more content coming this summer. Should give teachers enough time to get into their curriculum for this fall..! More than 300 teachers and educators are in attendance here today. Big round of applause for teachers! Oh gosh everyone.. it is a video with cute kids talking about how great their teachers are. This is so cute. Kids: "You have the hardest job in the world, and you are nailing it!" Sounds like the wrap up show. 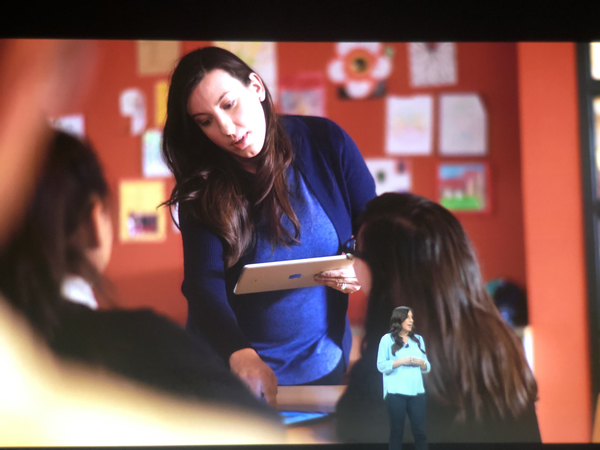 Going over the benefits fo the new iPad, as well as software announcements. BTW, noticed there was still no update to iMovie. Just Clips, GarageBand, and iWork. 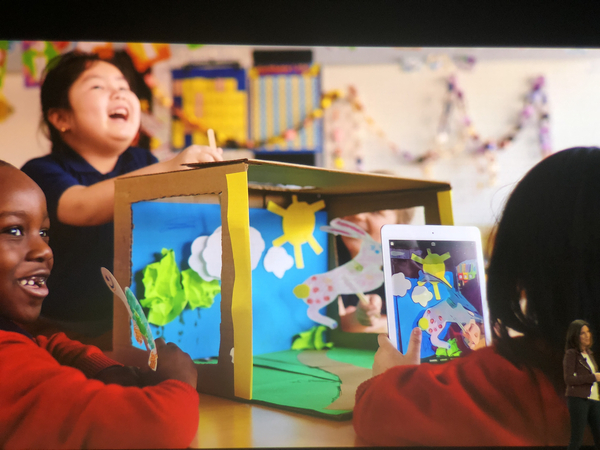 "To close today, we want to show you how much fun kids can have learning and creating with iPad. So we created a video"
There are a bunch of kids having fun learning about gravity by throwing things over edges.. haha. Ironic voiceover about how Homework stinks while the kids have a lot of fun doing it. Good voiceover! Looks like a wrap! There will be some hands-on time with all the new software. Tim thanks Lane Tech for hosting them today, as well as all the educators in attendence. That's it folks! We are going to check out everything Apple just introduced! Check back soon for our continuing coverage! Thanks for joining us!